teve and Noit are the directors of the entire ministry including publishing, media, training programs, children’s centers and women’s centers. Together Steve and Noit lead and mentor the other leaders of the ministry. Steve and Noit have three children. oline has worked at Words of Life since 1998. Poline directs all the training of Antioch Institute which is currently has more than 6,000 students enrolled in Cambodia and the Philippines. Poline is married with three children. arony and Steve planted churches together since 1996. 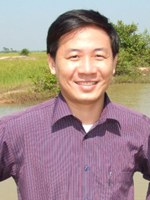 Karony is a core trainer of Antioch Institute with more than 6,000 students enrolled in Cambodia and the Philippines. Karony also handles much of the office management. Karony is married with three girls. opea has worked with Words of Life since 1998. 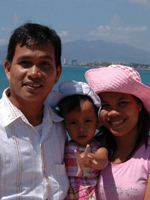 Bopea is a core trainer of Antioch Institute with more than 6,000 students enrolled in Cambodia and the Philippines. 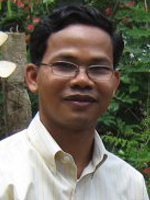 Bopea oversees translation projects including the Khmer Christian Bible translation and printing. Bopea is married with two children.